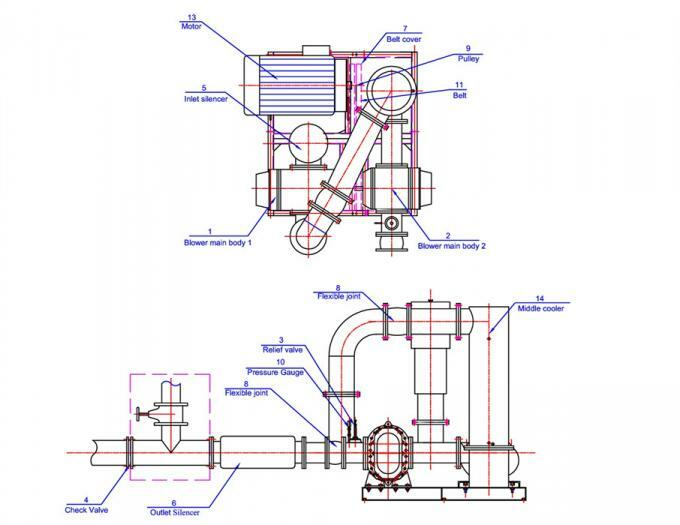 BKD series is a two-stage roots blower. 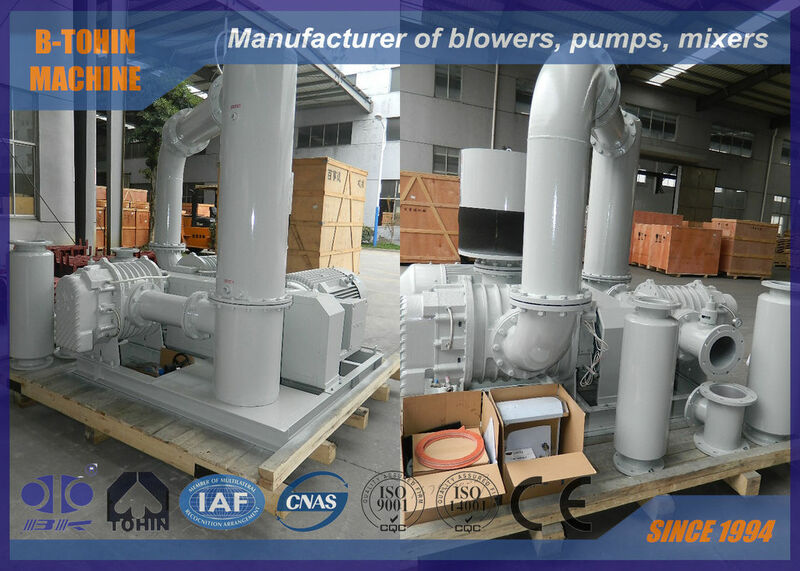 It is composed of two BKW blowers for reaching higher pressure. 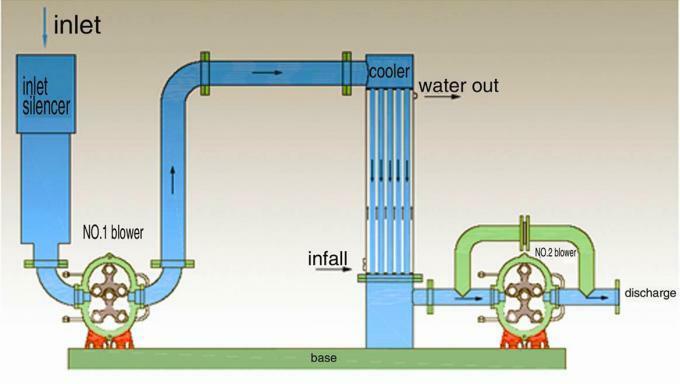 Good performance is promised by a middle cooling system installed between the first and the second stage, which ensures standard temperature of airflow into the second stage blower.